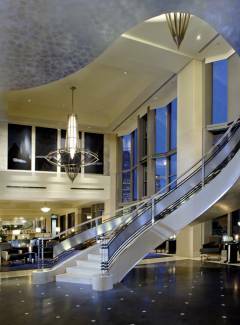 Modern, chic and elegantly understated, The Westin Melbourne's dramatic staircase and light filled lobby overlooking City Square sets the tone for one of Australia's leading hotels. 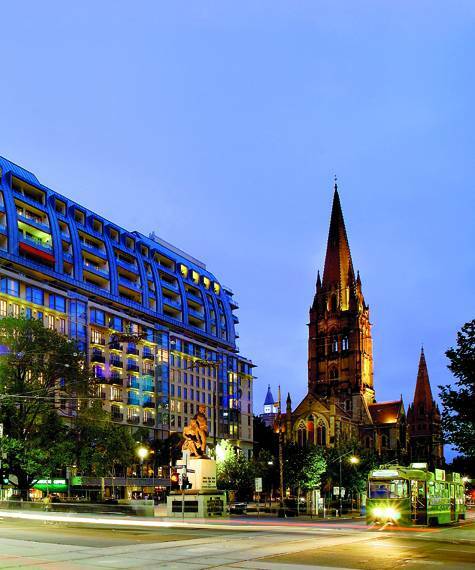 Located right in the heart of the city, this luxurious property is surrounded by theatres, designer boutiques, galleries and Melbourne's finest attractions. The hotel's extensive contemporary art collection, serene wellness centre and sophisticated restaurant and bar enhance the atmosphere - ensuring guests leave feeling better than when they arrived. Internet Facilities: Free Wi-fi in public areas and pay wired Internet in guest rooms only. Melbourne City is again hosting the 2017 "White Night Event" from 7pm on the 18th of February to 7am the following day. Visual art, exhibitions, spectacular illuminations, music, theatre, film, design, performances, and special dining experiences will take place in venues and major cultural institutions throughout the city centre with over 500,000 attendees expected. There will be considerable foot traffic and noise from the various events and no transport to and or from the CBD will be allowed to enter from 5pm on the 18th until 9am on 19th of February. All major credit cards. credit card surcharge applies for all transactions paid with a credit card.